Aerate your pond with the TotalPond Large Nozzle Kit which includes different nozzle options including the trumpet, water bell, foam jet, and three tier water effects. The overall size of the water display is determined by the power of the pump. The Large Nozzle Kit aerates and decorates your pond using your pump and adds oxygen to water for a healthy, thriving aquatic environment. By attaching a nozzle to the outlet of your pump, you are able to control the direction of your water flow. 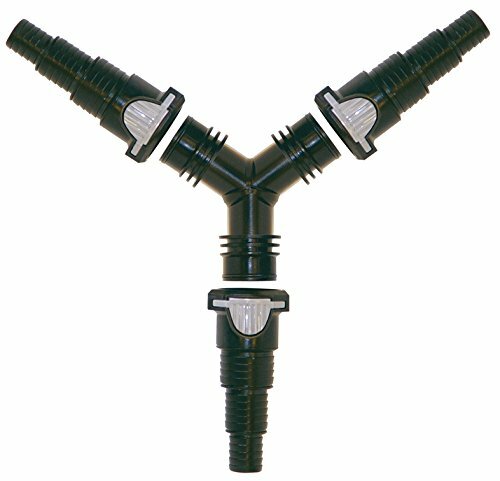 This kit includes 4 fountain head nozzles (3-tier waterspray head, trumpet fountain head, waterbell fountain head, and foamjet fountain head), a diverter valve with built-in flow control, 2 extension tubes, 2 adaptors (1/2 and 3/4 in. ), and a connector. 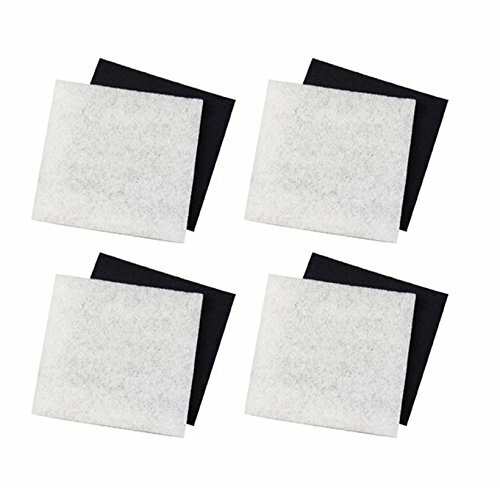 **Package Includes:** (4) Pondmaster Carbon & Coarse Poly Pad Replacement Filters ---------- The Carbon & Polyester **Pondmaster Filter** combo pack is a complete replacement set that provides mechanical, biological, and chemical filtration. It also resists compacting. 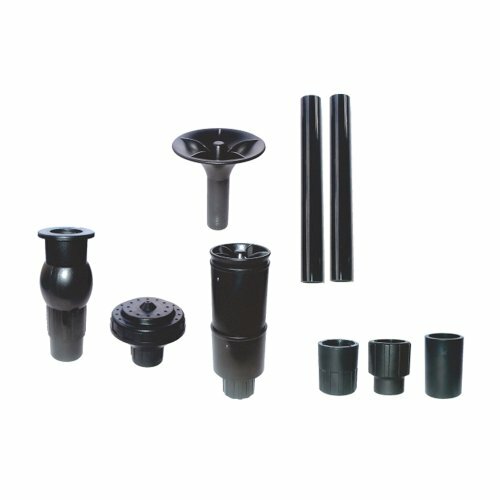 All Pondmaster 1000/2000 series filters are compatible, and it can be used as a replacement for other Pondmaster Kits as well (found below). The Carbon & Polyester **Pondmaster Filter** combo pack can be rinsed & reused as well. 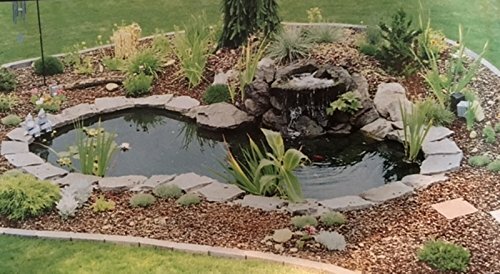 Pondmaster products have been designed and manufactured to meet the demanding requirements of pond hobbyists and professionals everywhere. Fish friendly, environmentally sound and energy efficient. VMInnovations is an authorized Pondmaster dealer! Brand: Danner | Manufacturer: Danner Manufacturing, Inc. 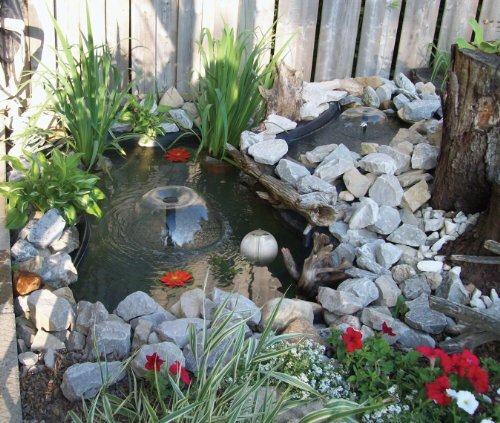 This complete pond kit gives you a soothing sound of moving water to your landscape and a beautiful look to your yard. 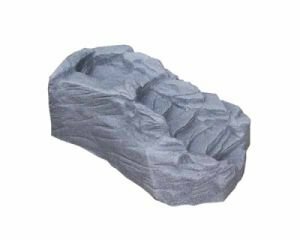 Designed to be used as a Water Garden or Fish Pond. Liner designed to give you a FULL SIZE 13' X 15' Black Pond Liner, Liner can be cut smaller if you want a smaller pond High quality 620GPH pump adds life and beauty to your pond. Shoot a fountain of water skyward or create the look of a natural spring with the included adapters. Ceramic shaft permits use in both fresh and salt water. Reliable and quiet, this pump is also great for use in large aquariums. 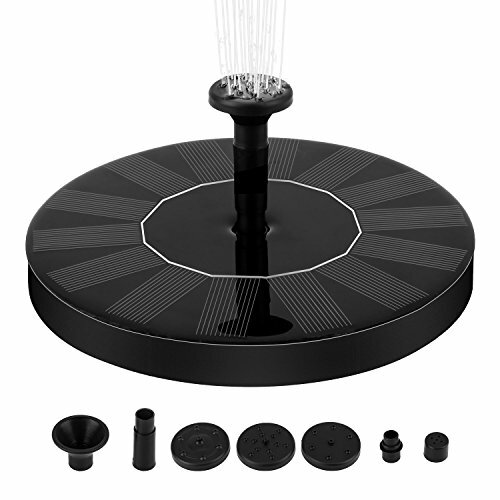 Inline flow control valve Removable filter for easy cleaning Removable stand with suction cup feet Includes two adapters: sprinkler head and waterfall head 4 artificial water flowers to embellish your pond. Please note no refund will be issued if pond liner is opened from its sealed packaging. 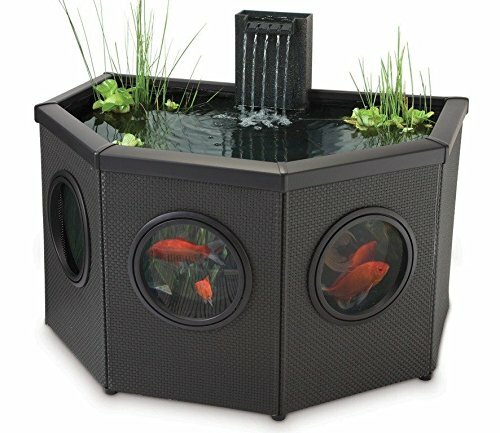 Algreen's avonlea 33 gallon preformed pond is fish and plant safe/ weather resistant/ uv stable/ includes integrated plant shelves and is made from environmenatlly friendly recycled plastic. Preformed rock falls look natural in a variety of pond settings. heavy-duty molded construction is designed to withstand heavy water loads. portable/ lightweight and easier to install than real rocks. 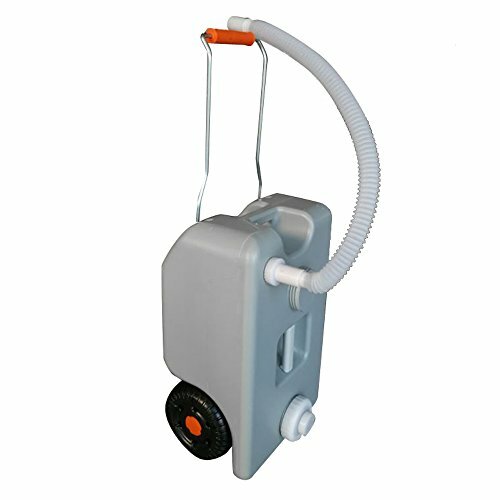 they include a built in fitting to attach the hose directly from your pump. measures 34 x 24 x 17--inch. Pennington Aqua garden Raised Window Pool Half Moon Enjoy the sight and sound of moving water and aquatic life, day and night, all year around. Kit includes: Textaline panels, Flore reinforced liner, Shatter proof windows. In pond 300 low voltage pump and filter with clarifier. Automatic nighttime LED Spotlight, two planting baskets, three fountains displays, Waterfall, Window cleaner pad, Replacement polymer wool pad and step by step set up guide. 89 gallons. 40.5inWx28.75inDx24inH. 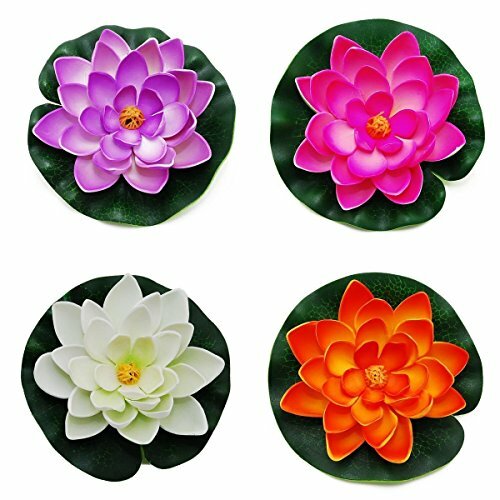 Artificial Floating Foam Lotus Flower Pond Decor Water Lily with Stylus Set of 4 Add a splash of color to your water feature. These floating water lily flowers are made of soft, flexible durable foam plastic and have a ring on the back to anchor it to a string. Float several in a pond, pool, or any water feature.What a beautiful decor to add to your garden, patio, even interior spaces! Great for everyday use or special events, such as, weddings, garden parties, etc. Guarantee: If there is any quality problem with our product, please contact us directly, we would respond to you ASAP and give the solutions accordingly. Package Quantity: 4 Floating Water Lily Flowers.These are foam flowers with NO lights. Made of soft, flexible durable foam plastic suitable for both outdoor and indoor usage. Please note: These flowers are NOT made by silk. This avoids flow restricting "T" connectors with the new Y-connector. Featuring 3 patented click-fit connectors to make installation quick and easy, the Y-Connector allows for multiple combinations. Easy and effective way to split water path without reducing flow. Enables the use of multiple hose sizes within 1 system. Can be used with 3/4, 1 and 1-1/4-inch hosing. This product weighs 0-1/2-pound. Measures 2-inch length by 9-3/5-inch height by 9-2/3-inch width. The Little-Tomato 25L Wheeled Water Tank for Outdoor Camping RV can hold up to 25L water, which is perfect for camping, outdoor picnics and RC trips. It adopts high strength HDPE material, which features sturdy, durable and impact resistant. 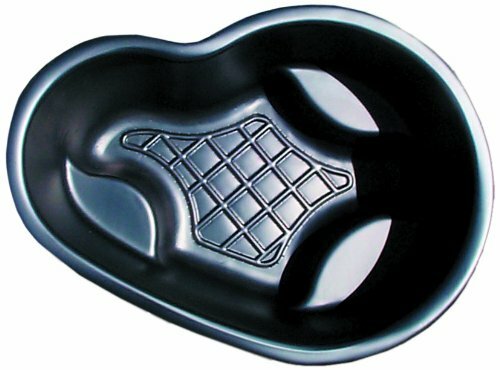 Its smooth wheels on the bottom allow for an easy glide. Extendable handle allows people of different height to move the tank with ease. Moreover, its wide caps allow for easy cleaning and filling. Don't hesitate to order now! EASY TO USE:Open the water filling cover and pour water into it as picture or connect a pipe with faucet(faucet included).Open draining cover to drain water out. USE FOR DIFFERENT KINDS OF LIQUID:This water tank can not noly hold water even hot but also store gasoline for your car travel, but don't store corrosive liquid, that's dangerous. SUPERIOR QUALITY:Pass through SGS food grade contact test, can be used to load the drinking water.It's thick enough to prevent any shock or throw. USEFUL IN ANY OCASSION:It fits every place no matter in kicthen or outdoor, it can avoid dust or other dirt.Weight: 8.82lbs/ 4kg in empty.